We promise to match or beat any price in our area! AMAZING OFFER - 2019 James Bond night special offer. Book our fabulous Bond themed tables with Standees and Pull up banners at no extra charge for bookings between 1st of February and 1st of April 2019. Package deals for 1,2,3 or more tables are offered at unbeatable value. Poker dealing is at an hourly rate. Budget options are available if you need to save ££££s....contact us to arrange. Get a "midweek deal" prices start from only £185.00 a table Sunday-Thursday! A typical weekend 2x table set up costs around £400- email /call for an exact quote. We plan with you beforehand to ensure that on the day you can relax. Personalised fun money for your guests can be made up, with your own photo and wording if required. A great icebreaker, perfect to keep guests amused before or after dining, and during the long photograph sessions. All ages mingle and have a great time. 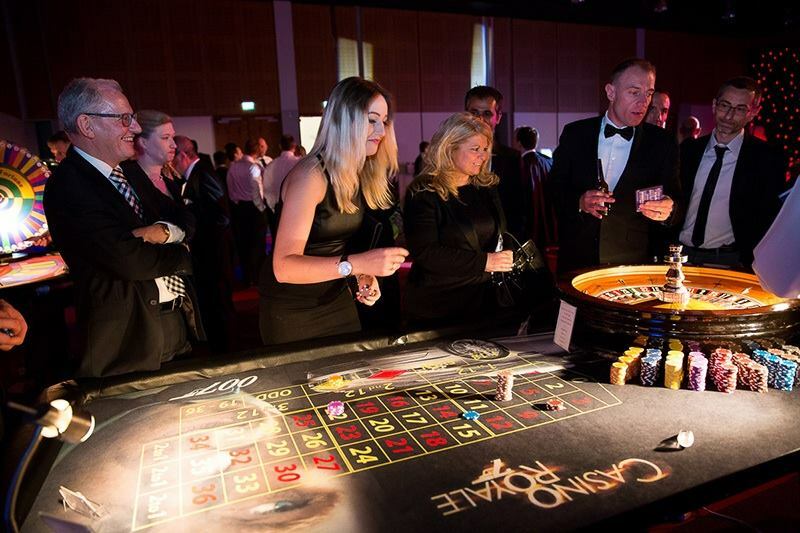 We provide the perfect opportunity to relax, mingle and have fun at any type of company or business function. Post conference wind-down, annual awards dinner,company Christmas party...or just an excuse for a get together , we will always make it a memorable night for you. Your entertainment is our business. 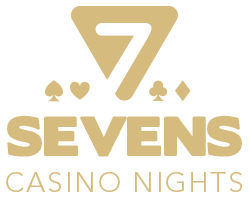 *Here at sevens casino nights we entertain more than 30 wedding events a year always with amazing smiles and good graces. Our feedback speak for themselves!